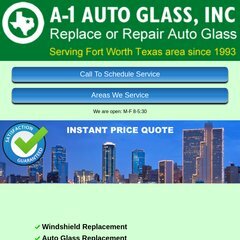 Topics: Auto Glass Repair, Auto Glass Safety, Get A Quote, and Oem Replacement Windshields. Age: It went live on November 18th 1998, making it over 19 years, 4 months old. It is hosted by Web.com Inc (Georgia, Atlanta,) using Apache/2 web server. There are 3 Nameservers, b.ns.interland.net, c.ns.interland.net, and a.ns.interland.net. Its IP Number is 209.237.150.20.